Known as the ‘Pearl of the Pacific,’ Mazatlán is piece of sun-drenched Mexican treasure nestled on the shoreline of Sinaloa state. Rippling blue ocean and fine white sands characterize the resort, but with a wealth of historical sites, churches and monuments on offer, as well as a dynamic and lively arts scene, you’ll have more to do here than sunbathe. 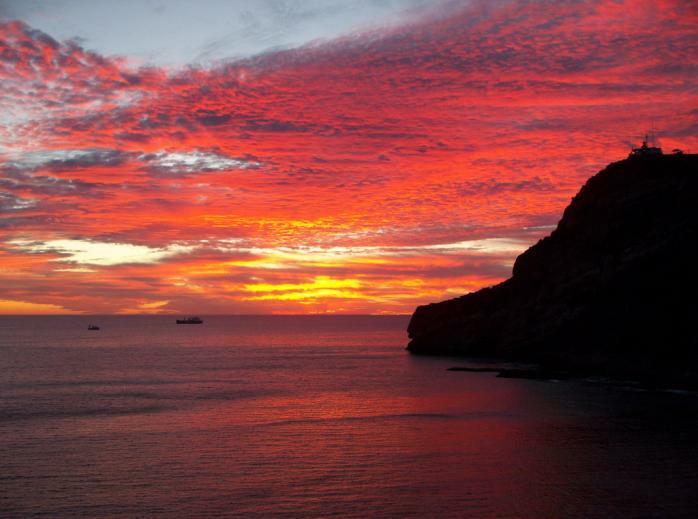 Read our guide for the best things to do and see whilst staying in Mazatlán. Plaza Machado is situated squarley in the middle of the bustling historic center of Mazatlán. Originally erected to demonstrate the wealth of the upper-classes, nowadays the plaza serves as the hub of the community for Latin locals. The square is a busy tourist attraction surrounded by charming buildings designed in a Spanish and French style, featuring ornate gilded balconies and colorful shutters. Beautiful orange trees surround the area, lending the plaza its affectionate nickname of Paseo de la Naranjas, or orange walk. Watch out for: The iron gazebo in the center of the plaza, which was constructed in 1870 as a platform for performances. The Malecón is a boardwalk providing a beautiful and unobstructed view of the surrounding Pacific ocean. Stretching for 13 miles, it is one of the longest seafront walkways in the world. 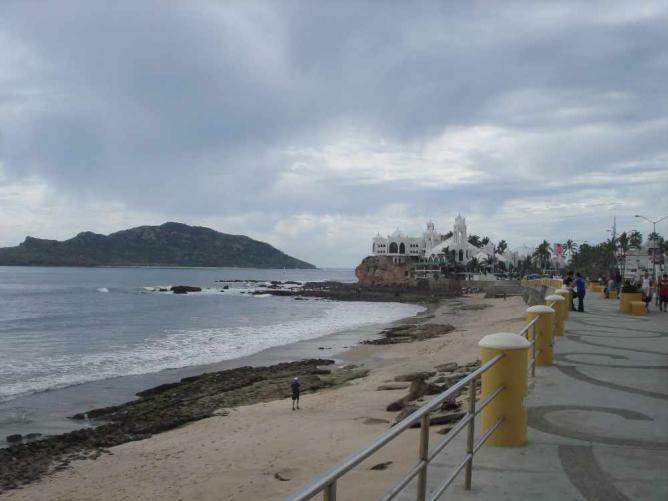 Take a leisurely stroll here, enjoy a bike ride or watch a spectacular Mazatlán sunset. 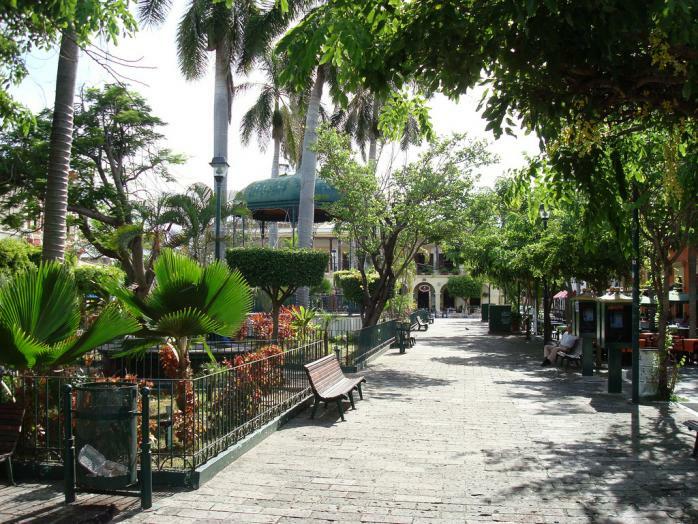 The Malecón also provides walkers with easy access to the historic center of town. Watch out for: The walkway connects with the legendary Cueva del Diablo, which is the Devil’s cave of Mazatlán, and the setting many spooky pirate stories. This theater, named after Mexican opera singer Angela Peralta, is the core of music and culture in Mazatlán. Located close to the historic center, the establishment is a premier performance spot for a variety of national artists, and is home to the talented and popular dance company Delfos Danza Contemporanea. The venue features over 800 seats, and has gorgeously decorated Italian balconies providing excellent views even from the cheaper galleries. The theater is also a hub for cultural development, and is home to a number of art shows as well as an internationally recognised School of Fine Art. 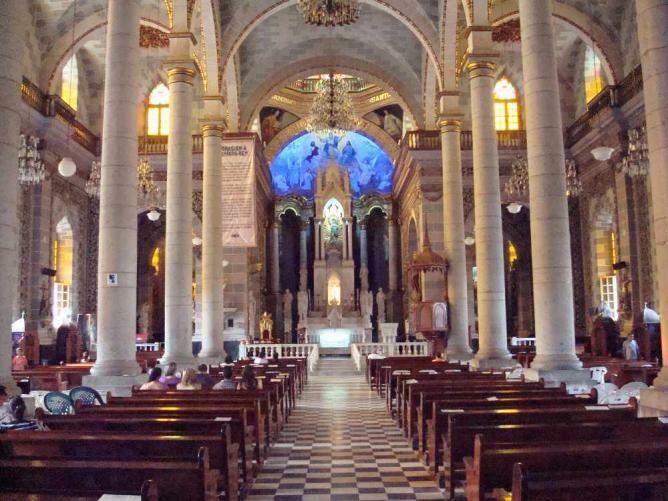 Built on an ancient Indian temple, the Basilica de la Inmaculada is a beautiful and unmissable spot whether visitors want to religiously reflect or simply explore the architecture. The brilliantly sculpted statues of saints which surround the building, coupled with the vibrant artwork of the interior, elevate this church above others in the area. Gilded Gothic arches create a striking and spiritual space, and 28 expertly crafted stained glass windows all creatively incorporate the Star of David. Watch out for: The majestic organ inside the cathedral, built in Paris by Aristide Cavaille-Coll, an artist widely considered to be one of the greatest organ builders of all time. 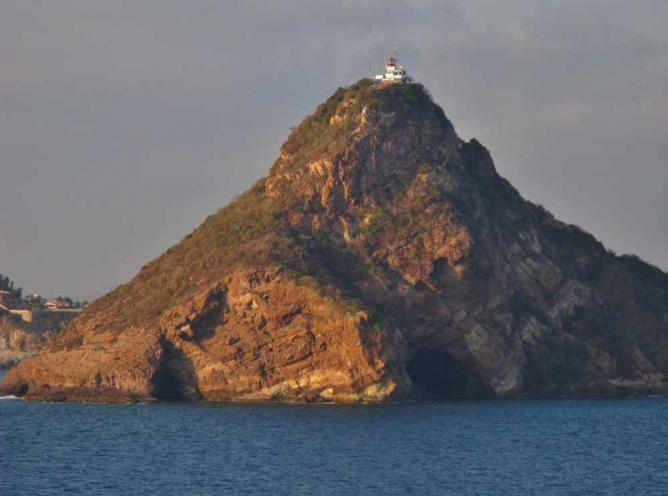 The highest operating lighthouse in the Americas, the El Faro Lighthouse is a fantastic spot to experience exceptional views of serene and idyllic Mazatlán. Although a pretty steep hike, a trek to the lighthouse provides a great opportunity revel in the fresh sea air, and there is no better way to see the so-called ‘Pearl of the Pacific’. Watch out for: The lighthouse is located at the peak of a pretty hill, Cerro del Creston. Translated as the “Beach of Big Waves,” Olas Altas is the top choice for sea-going surfers visiting Mazatlán, a beacon for surf experts and amateurs alike. The beautiful sunsets here attract many tourists, and every evening before the sun hits the sea a diver performs a majestic flip into the water, always to the sounds of raucous applause. Don’t miss the number of tasty seafood restaurants nearby. Watch out for: La Carpa Olivera, a public saltwater swimming pool, is located at the end of Olas Altas. 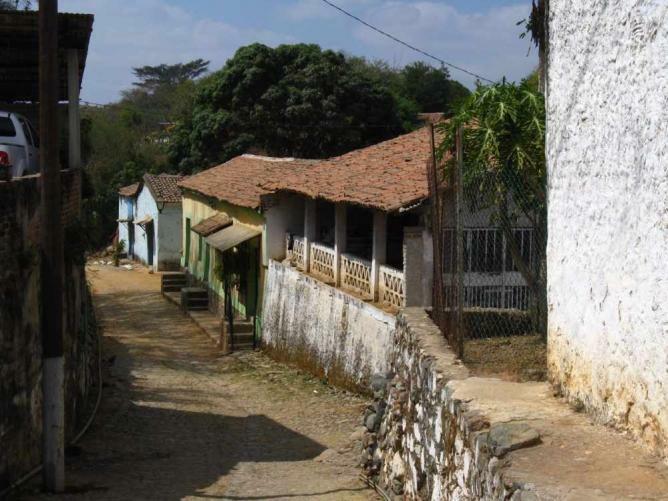 Take a day trip to Copala to experience an enthralling blend of colonial and postcolonial cultures. 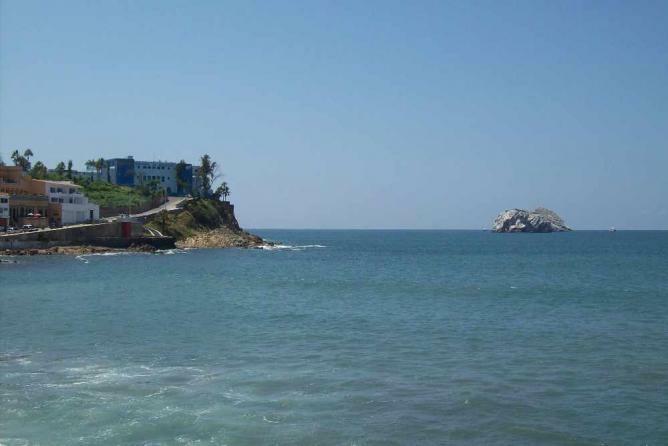 Occupying an extremely small area, there are less than 300 homes in this rustic and inviting part of Mazatlán. A four-century-old silver-mining town, the cobblestone streets and quaint buildings here are oozing with authentic Mexican charm. A great spot to venture off the beaten track and experience native Mexico, don’t miss Alejandro’s restaurant, serving up a wealth of local delicious delicacies. Opened in 1992, Nidart Gallery began as a business to showcase the leather and clay artwork of one family. Since then, the number of artists displaying work here has grown rapidly, and the types of art exhibited now include designs with copper, paper, wood and abalone shell. Look out for the expertly hand-crafted leather masks, and the beautiful interior of the courtyard. A must-see when visiting Mazatlan, offering a varied range of interesting Mexican art at reasonable prices. Watch out for: The unusual shapes and forms created with different colored leathers. Given its stunning location on Mexico’s Pacific Coast, Mazatlán is unsurprisingly a mecca for an array of watersporting activities, such as surfing, kayaking and parasailing. And for those who aren’t such adrenaline junkies, there are plenty of banana boat options available too. Book with a reputable and trusted tour operator such as Aqua Sports. Watch out for: Cliff diving. Centered in a small oceanside park on the Malecon, el clavadistas, or the cliff divers, jump into the aqua water from a platform over 50 feet high. Zooming above Mazatlán is one way to see the city. 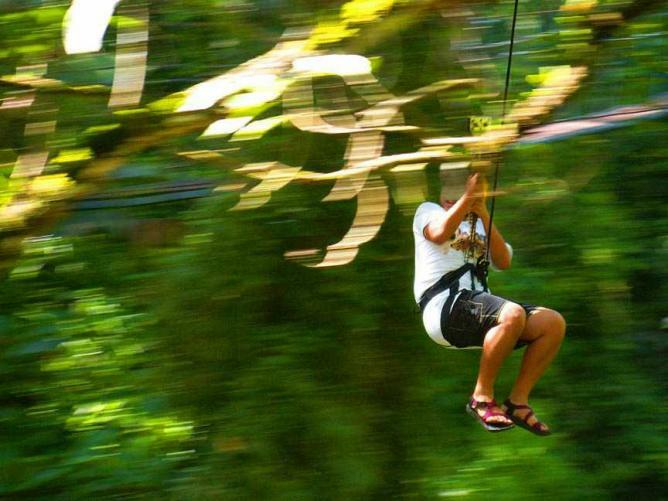 Taking a ziplining tour is one way to incorporate some adventure into a trip to the city, and with so many different tours, visitors can choose whether they want to experience the rainforest tree canopies, views of the beach, or simply view the city from above.